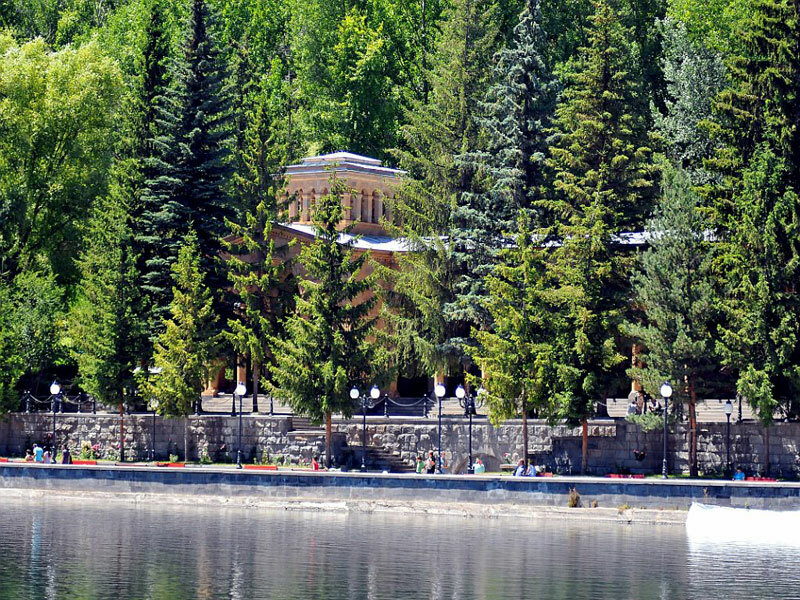 Jermuk city is located in the south-eastern part of Armenia, in the upper reaches of the river Arpa. 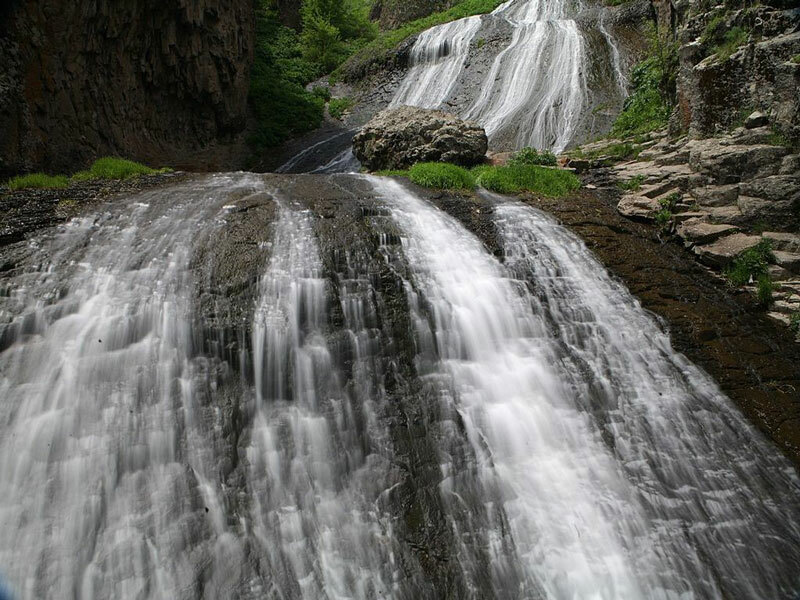 Mild climate, healing mineral waters, beautiful nature – all these make Jermuk a popular resort city, which attracts tourists from different cities and countries. The air here is clean, fresh, devoid of dust, saturated with flower aroma. 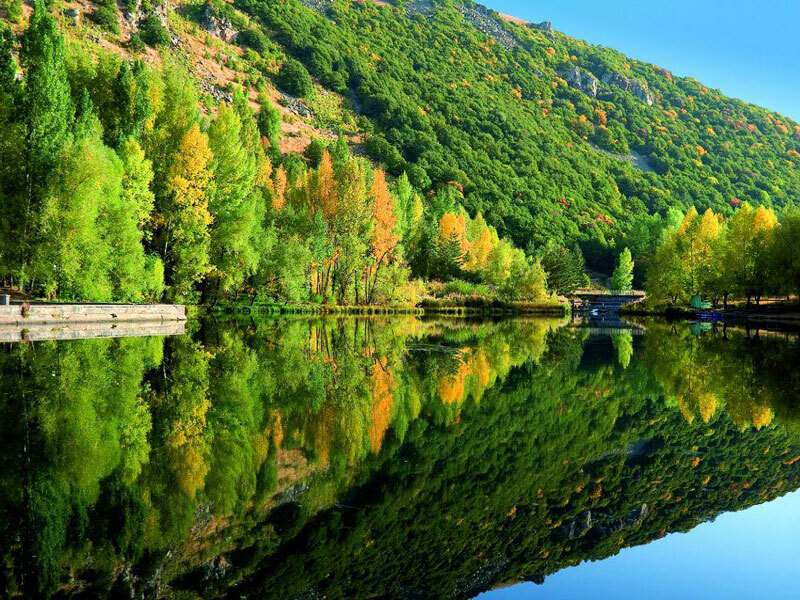 Beauties of Jermuk will not leave anyone indifferent: mountain ranges, alpine vegetation, the river that divides the city into two parts, huge waterfall, lakes, and forests. And in order to make guests feel as comfortable as possible, lots of hotels, sanatoriums and restaurants have been built. The climate in the city is alpine and moderate. The winter is mild, snowy, almost windless. The average temperature ranges from -5 to -9 C°. Humidity in winter increases, however, fog is very rare. The abundance of snow and open, sunny sky allow to organize winter sports such as skiing and snowboarding. In spring, air temperature begins to rise. In April, the temperature reaches + 5 and at the end of May + 10 C°. The major amount of precipitation comes in the spring (rainy days are from 9 to 20). Summers are sunny, warm and dry. The content of ultraviolet rays in the air is high. The average temperature ranges from +10 to +20 C°. The maximum temperature is +31 C°. In autumn, the temperature starts to drop. But especially it gets colder in the transition from October to November. The temperature falls from 5 to 0 C°. Rains in autumn are not so much as in spring. 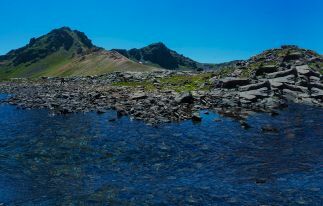 Since ancient times, Jermuk has been famous for its mineral waters, which serve as healing means for different diseases. There are 40 hyperthermal wellsprings, which by their unique composition are similar to the ones of the Czech Karlovy Vary. The water in the city has high temperature and contains a huge amount of trace elements (chlorine, sodium, potassium, calcium, iron, fluorine, bromine, magnesium etc.) It is used for curing lots of diseases: diseases of the digestive system, nervous system, metabolic disorders and many others. If you visit Jermuk city, we advise you to go to Water Gallery that is a symbol of the city. There you can try mineral water of different temperatures for free. Generally the treatment in the city is carried out in various sanatoriums, which meet high standards and delight their clients with excellent service. Sanatorium “Olympia” (4 *) is situated in a central part of the city. It meets the highest international standards and provides high-quality treatment and rest. Facilities include a restaurant, conference hall, SPA- salon, sauna, beauty salon, medical cabinets. The restaurant serves mainly traditional Armenian cuisine and 3 meals a day. It also hosts a variety of medical procedures and treatments. Sanatorium «Jermuk Ashxar» (3*) was built in 1975. 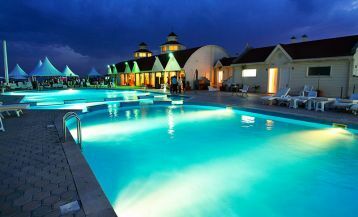 It offers 126 rooms with all conveniences, as well as a pool, sauna, billiard, volleyball and football playing field, cinema hall, hairdressing salon. Different medical researches and procedures are carried out here. 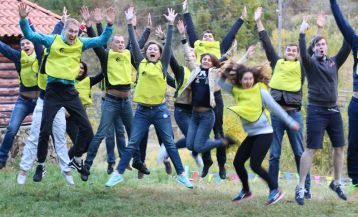 Sanatorium «Jermuk Number One» (3*) offers comfortable rooms and 3 meals a day. It also offers sanatorium treatment, which includes external and internal use of mineral water, health food and other procedures. Hotel «Ani» (3*) is a hotel-restaurant complex. The rooms contain all the necessary conditions for a good rest. Gndevank Monastery is located in the canyon of the river Arpa. It is a classic cross construction built in 936. There are lots of beautiful crossstones on the territory of the monastery. Saint Gayane Church was built in 2007, it is located just near the entrance to the city and is very popular among both local people and tourists. Jermuk art gallery was founded in 1973. It contains pictures of different famous Armenian artists such as M. Saryan, G. Grigoryan, M.Abegyan, O.Zardyaryan and others. Water Gallery was built in 1956 by architect Gevorg Tamanyan. The gallery held a pipe closed in the wall, from which taps are reserved. From each tap mineral water is running, which temperature varies from 35 to 50 degrees. Restaurant “Gndevank” is located in the heart of the city. Here all the conditions are created for a pleasant pastime. The restaurant also offers special dishes for vegetarians. Restaurant “Jermuk” is famous for its good service and cozy atmosphere. Dishes here are prepared from organic products. By visiting this restaurant, visitors can get acquainted with the Armenian national cuisine and learn what real Armenian hospitality is. Restaurant “Forte” also pleases its guests with delicious food, cozy atmosphere, and good service. In winter, the city will not be boring either. For ski and snowboard lovers, there is a stable station and ski traces, which correspond to world standards. The trace for beginners is 1400 m and for experienced skiers – 1300m. 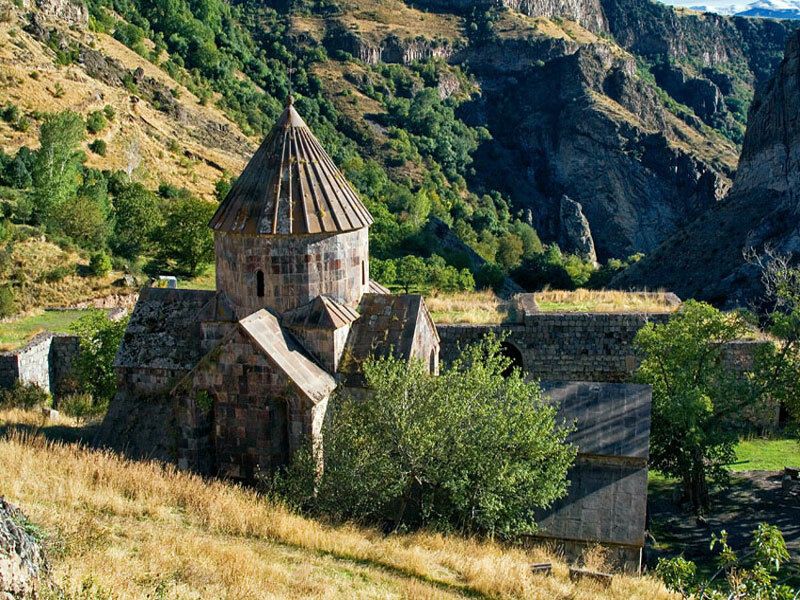 Those who wish to visit this beautiful town can choose our Tour “Uncover Armenia”. 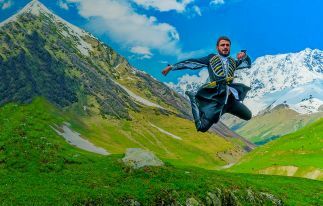 Choose the Tour to Armenia you like most and tour-operator Arara will organize your amazing Holiday in Armenia. 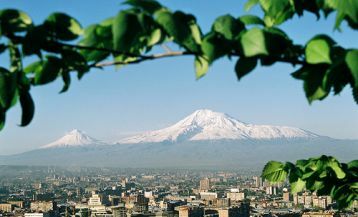 Travel to Armenia with the travel agency.